Tampa Bay&apos;s trendy Seminole Heights neighborhood sprouts another cutting-edge restaurant today with the opening of Fodder & Shine. 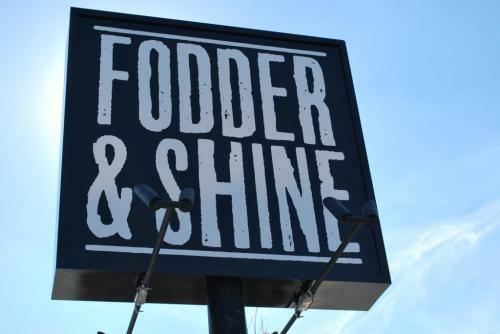 Fodder & Shine (@FodderandShine), 5910 N. Florida Ave., was created by Greg and Michelle Baker, owners of the award-winning Refinery restaurant a few blocks to the south. The restaurant&apos;s "Heritage Florida Cracker" menu is built around the food served by Florida&apos;s earliest white settlers -- the so-called Crackers, named after the sound of the whips they used to herd cattle through the swamps and sand hills. Those early settlers developed a cooking style based on limited resources and what they had on hand. The Bakers plan to stock their restaurant with ingredients that are native to Florida. They&apos;ll make for some adventurous eating. Never heard of the Seminole pumpkin? Now&apos;s your chance to try one. How about roasted bone marrow? That&apos;s also on the menu. There&apos;ll be roasted oysters with prickly pear cactus as well as mullet and ham. The restaurant will also have a canning operation to preserve ingredients so they can be used out of season. Fodder & Shine is set to open Dec. 26.